Almost seven million people living in Australia were born overseas, some 28.5% of the nation’s total population, the most up to date official figures show. 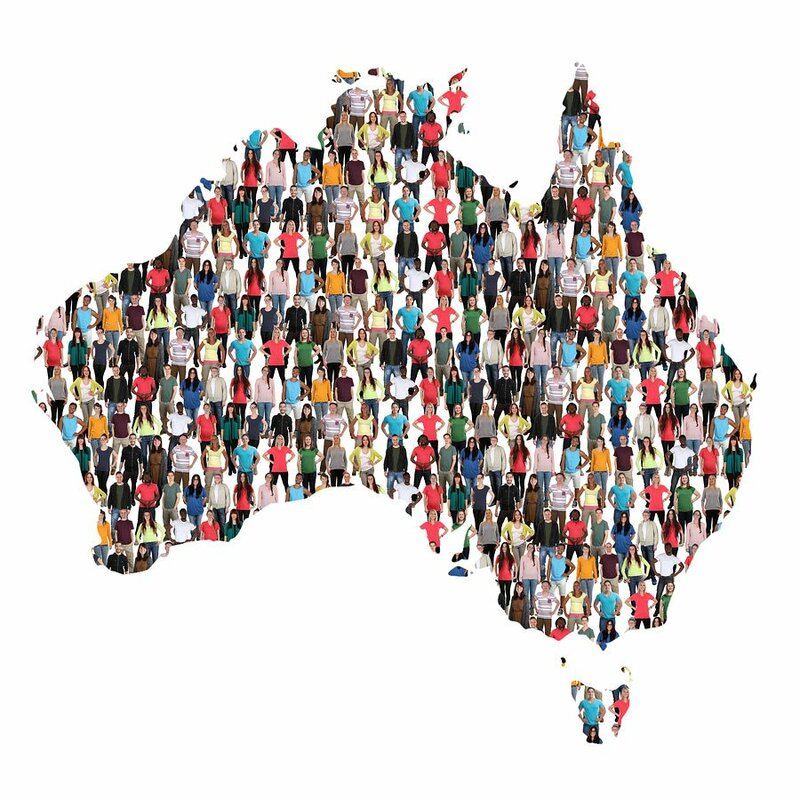 The cultural and linguistic diversity of Australia’s resident population has been reshaped over many years by migration and the figures from the Australian Bureau of Statistics (ABS) show that the biggest proportion come from the UK. British people made up 5% of the country’s resident population as of the end of June 2016, followed by 2.5% from New Zealand, 2.2% from China, 1.9% from India and 1% from both the Philippines and Vietnam. However the British born population is falling, down from 5.5% in 2006. Conversely, the proportions increased for people born in New Zealand from 2.1% to 2.5%, for those born in China from 1.2% to 2.2% and Indian born from 0.8% to 1.9%. In terms of Australia’s population growth, for the top 50 countries of birth, excluding Australia, people born in Nepal had the highest rate of increase between 2006 and 2016 with an average annual growth rate of 27.8%. However, this growth began from a small base of 4,400 persons at 30 June 2006. The second fastest increase over this period was in the number of persons born in Pakistan at 13.2% per year on average, followed by those born in Brazil at 12.1%, India 10.7% and Bangladesh 8.9%. Of the top 50 countries of birth, the fastest decline was for persons born in Malta, with an average annual decrease of 1.5%, followed by persons born in Poland down 1.3%. Historically, more people immigrate to, than emigrate from, Australia. The 28.5% recorded at the end of June 2016 was an increase from the 28.2% recorded at the end of June 2015. A decade ago some 24.6% of the population was overseas born. Western Australia recorded the highest proportion of overseas born residents in their population at 33.4% or 786,500 people, and also the largest increase in the proportion of overseas born residents, up from 29.9% in 2006. Victoria recorded the second highest proportion with 28.7% of its residents born overseas at 1,589,800 people, up from 26.3% in 2006, followed by Tasmania with 12.6% or 64,200 people. The Northern Territory had the lowest proportion of overseas born residents at 18.8% or 43,600 people, both well below the Australian level of 26.9% recorded in 2011. In 2011, Western Australia had the highest proportion of people born in the United Kingdom at 10.9%, more than double the Australian proportion of 5.4%. The highest proportion of New Zealand born residents was in Queensland at 4.8%. In Victoria, there were higher proportions of residents born in India at 2.3%, Italy 1.5%, Vietnam 1.4%, Greece 1.1% and Sri Lanka 0.9% than any other state or territory. New South Wales had the highest proportion of people born in China at 2.6% and Lebanon at 0.9%. The data also shows that the Northern Territory had the highest proportion of people born in the Philippines at 1.9%, while Western Australia recorded the highest proportion of people born in South Africa at 1.7% and Malaysia at 1.2%. The proportion of residents born in Germany, the Netherlands and the United States were fairly evenly spread across all states and territories.